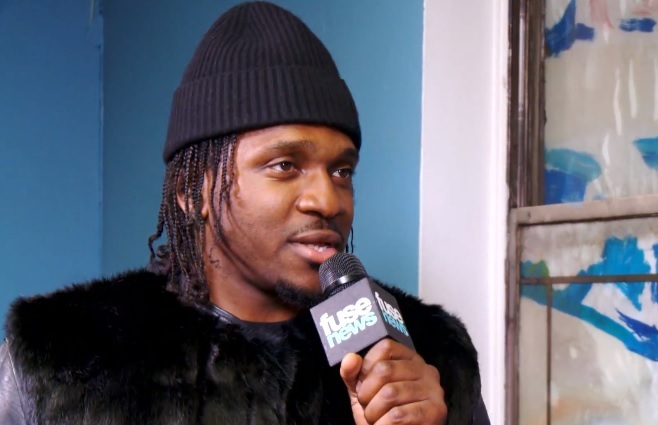 Pusha T links up with Fuse’s Esteban for an exclusive one-on-one interview. The G.O.O.D. Music rapper opens up about recently catching up with The Neptunes and acquiring their services for his forthcoming LP, King Push. Pusha T also discusses the difficulty of getting Kanye West to contribute to his projects because of his hectic schedule, a possible Clipse reunion and his new tour with 2 Chainz. This entry was posted in Interview, Video and tagged esteban, Fuse, good music, hip hop, Interview, My Name Is My Name, pusha t, rap, the clipse. Bookmark the permalink.